Here is it! My Big Idea… LOL I like it… It didn’t turn out EXACTLY how I wanted it to, but I’m satisfied… There is one part that I will probably go back and change, though…. 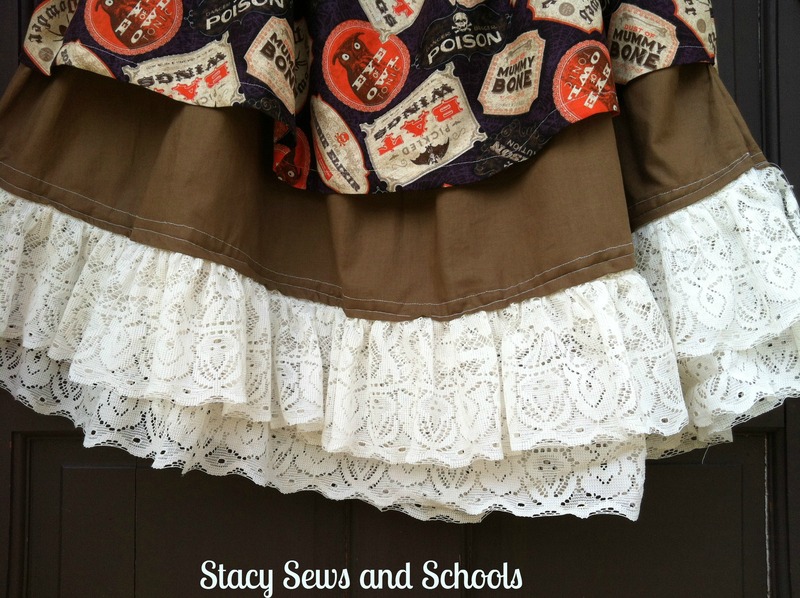 I was trying to go for a multi-layer effect so instead of sewing the lace ON TOP of the underskirt hem, I sewed it to the back… I think I am going to grab my BFF , Sally the Seam Ripper, and go back and do that part over. It would look much nicer that way, I think…. 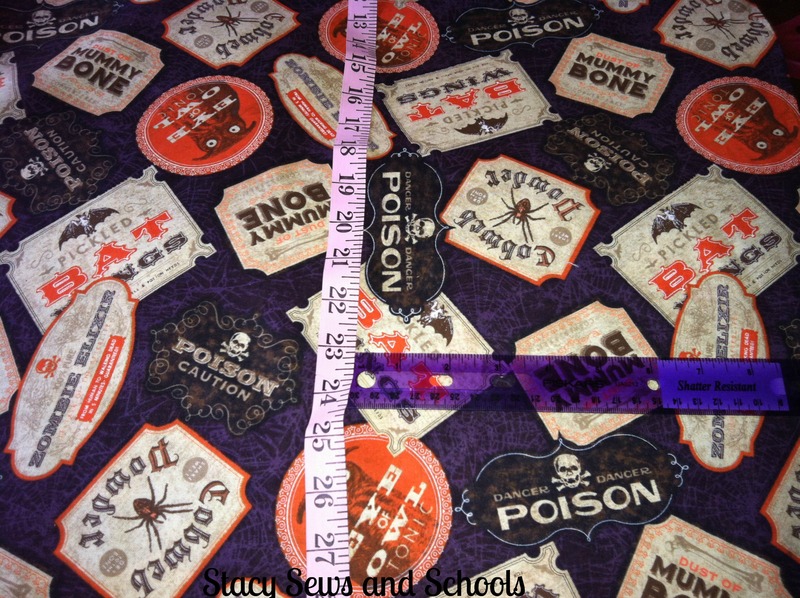 So, cut 2 pieces, each the width of the fabric. When you cut, make a curve at the bottom, like in the picture below. 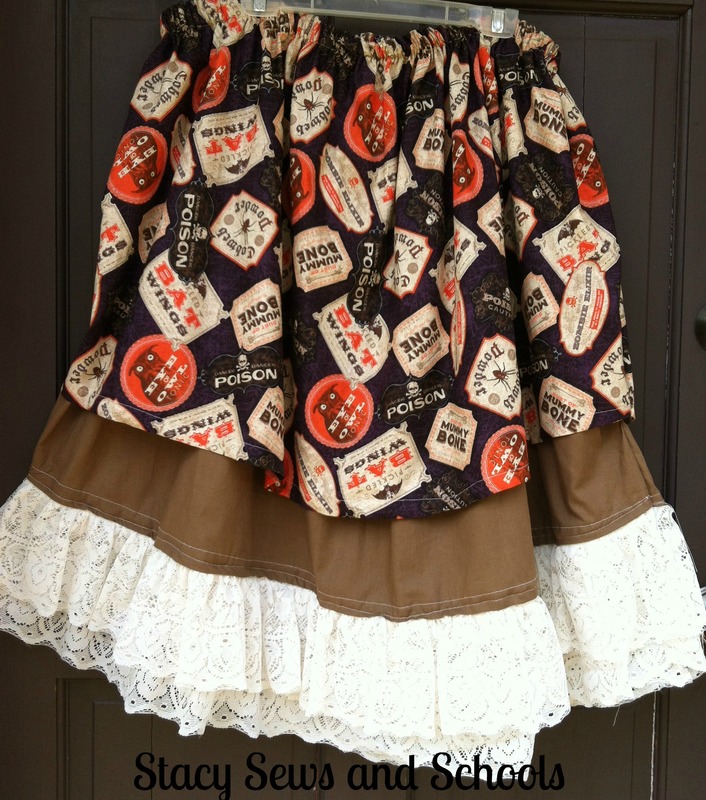 I cut the underskirt at 27″. 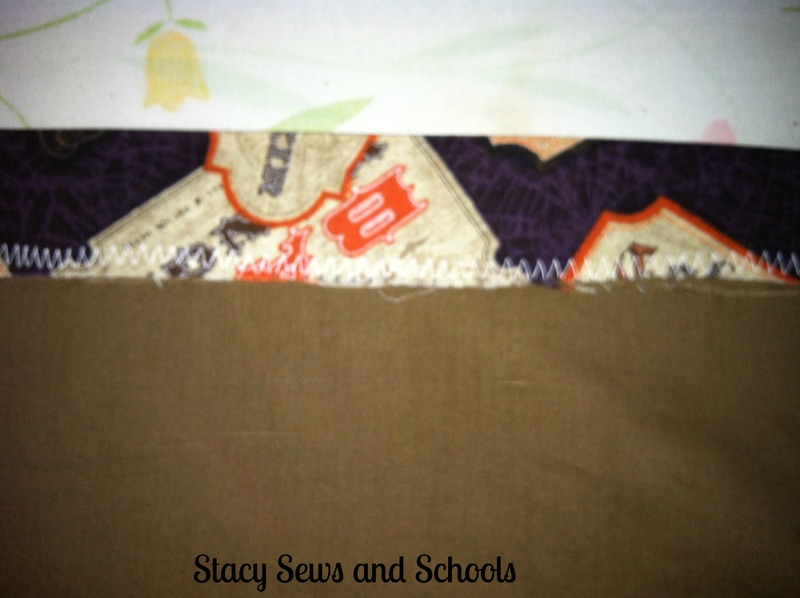 Cut 2 pieces, the width of the fabric and with a curve. 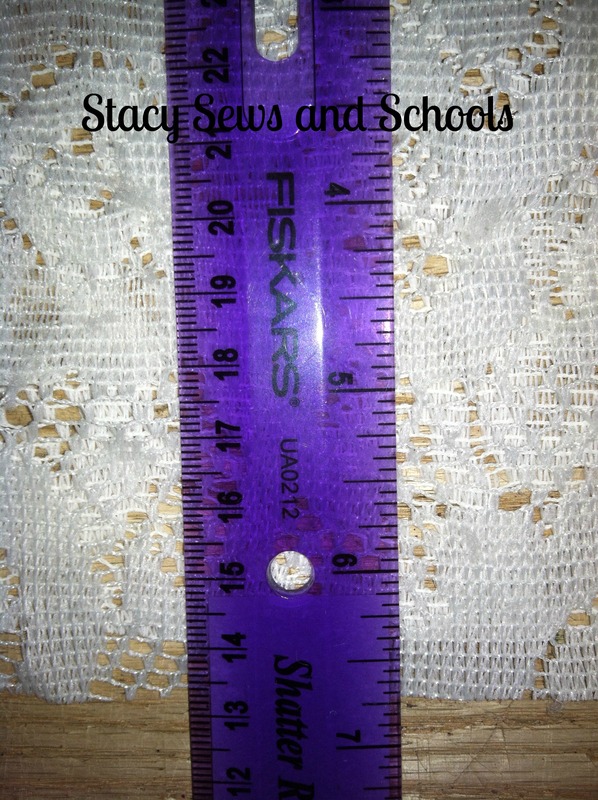 I cut 6 1/2 ” off both sides of the curtains. 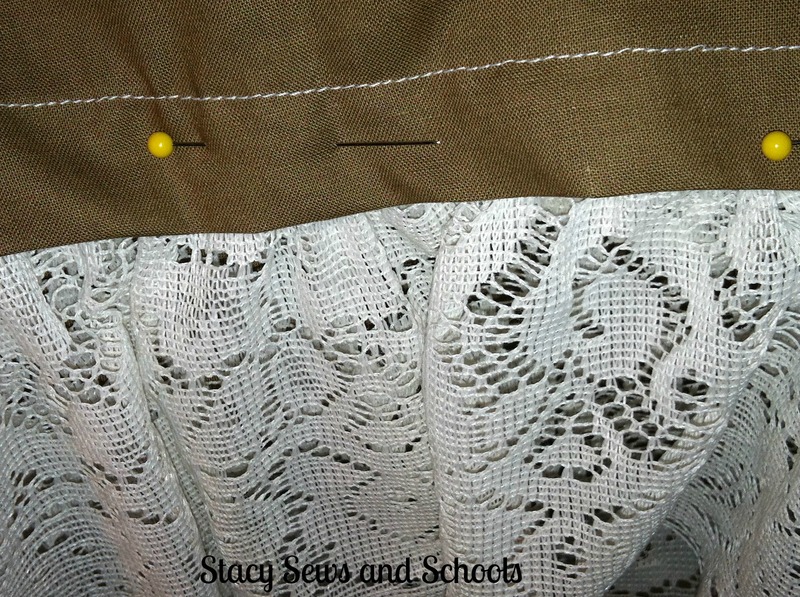 You will need to cut the lace the width of the skirt fabric. 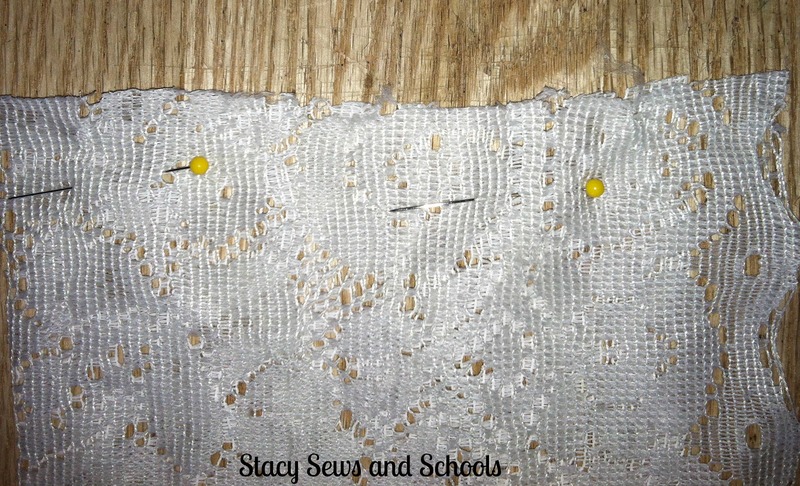 So, you will also have 2 sections of lace. Next, I cut the ruffles off both valances. 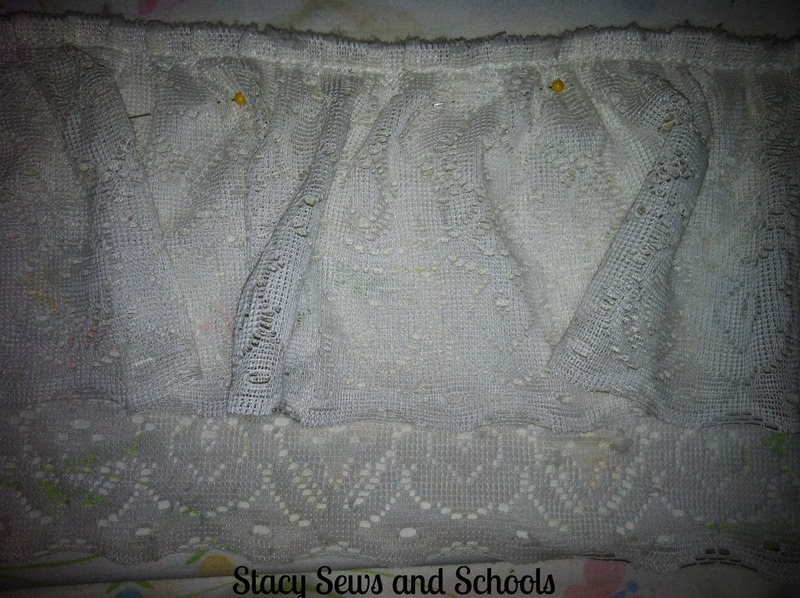 I left about 3″ of the plain lace above the ruffles. 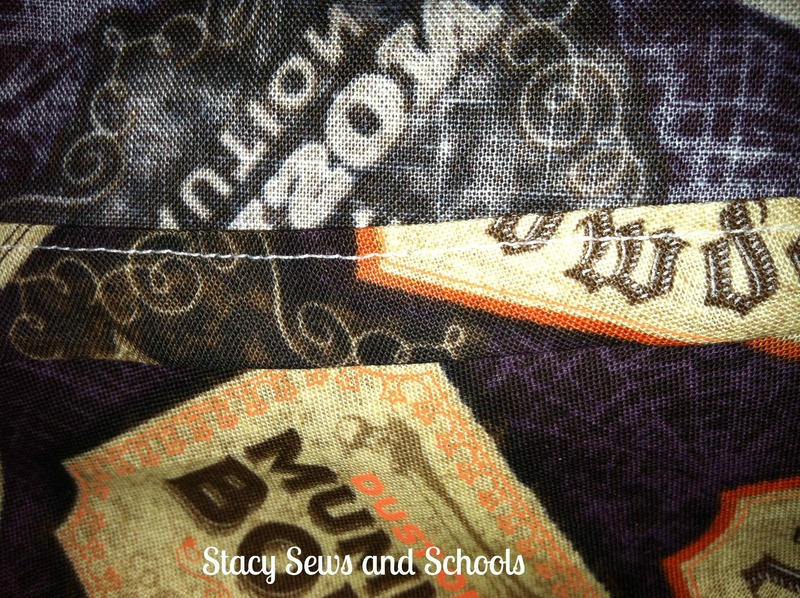 Sew one end of the lace strips together. Set aside. 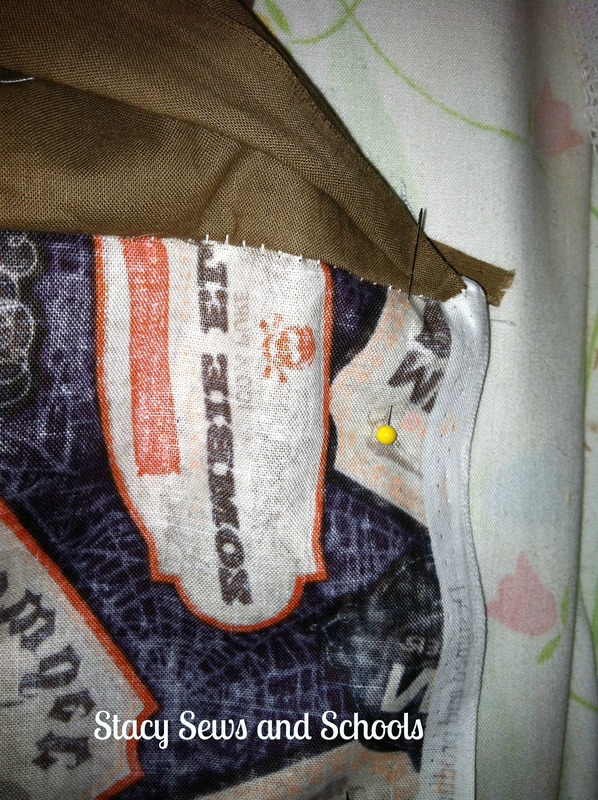 Now, right sides together, sew ONE side of the underskirt together. 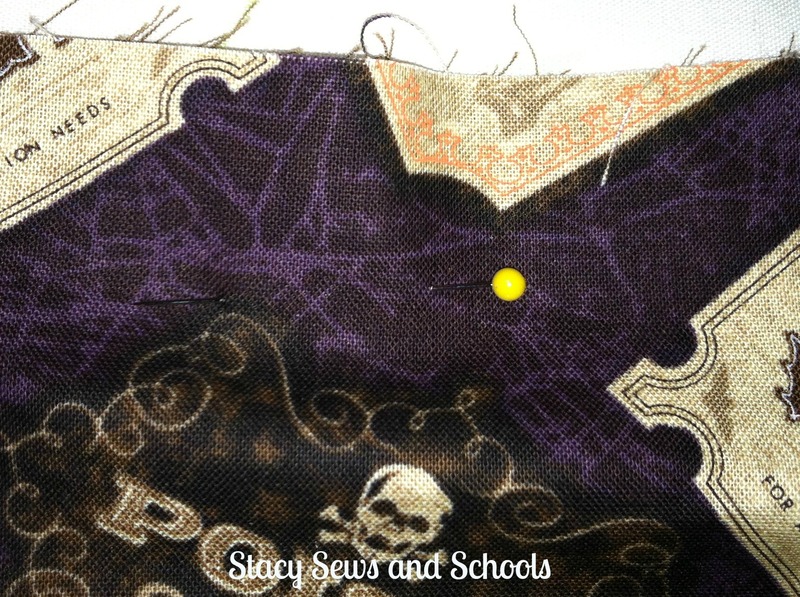 Now, roll up 3/4″ of the bottom of the underskirt and press. 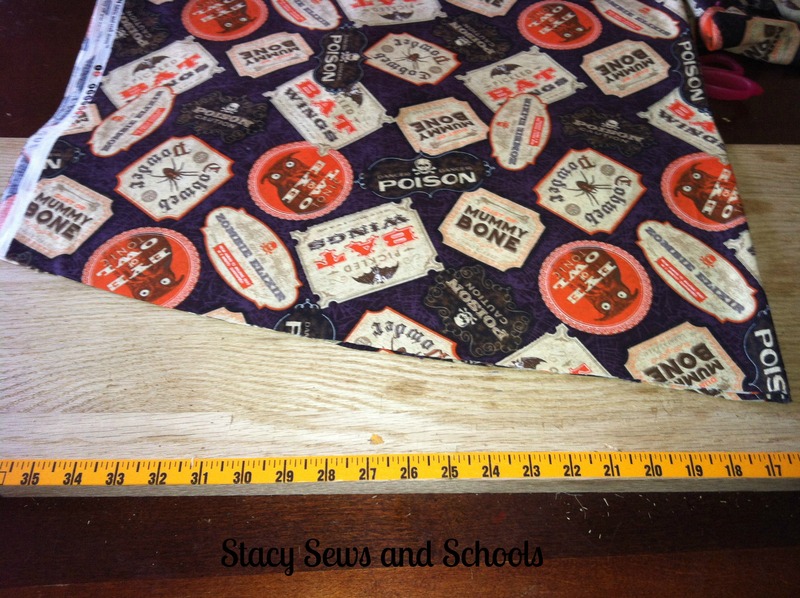 The roll up 1″, press and sew your hem. 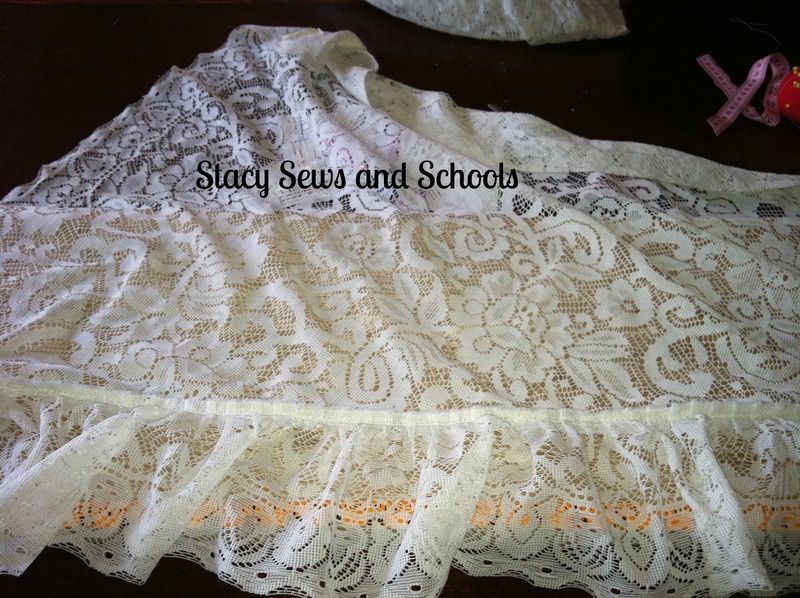 Now, fold the 2 0r 3″ that you left above the ruffle over the lace strip, pin and sew together. 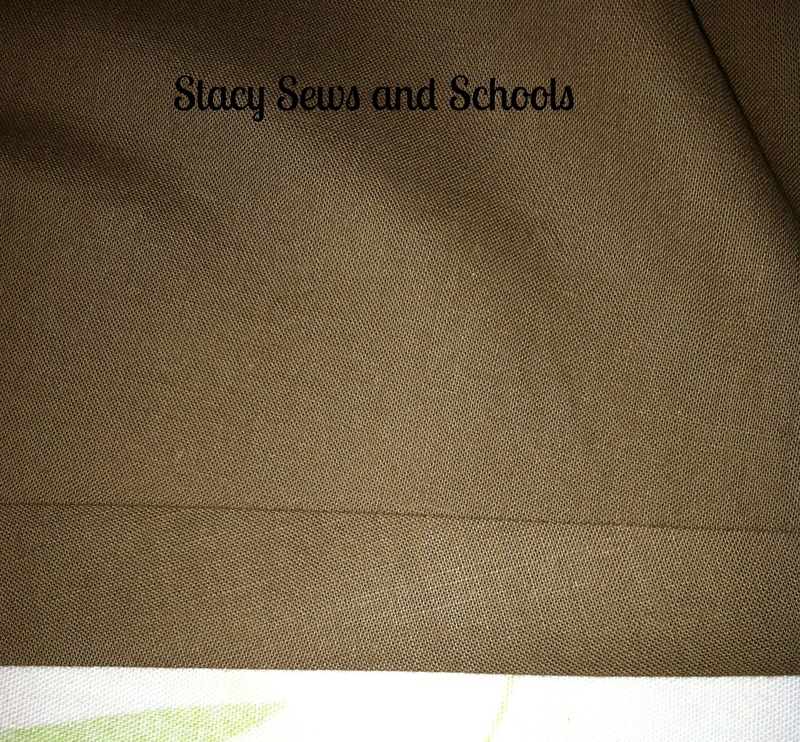 Right sides together, pin and sew up ONE side of the overskirt. 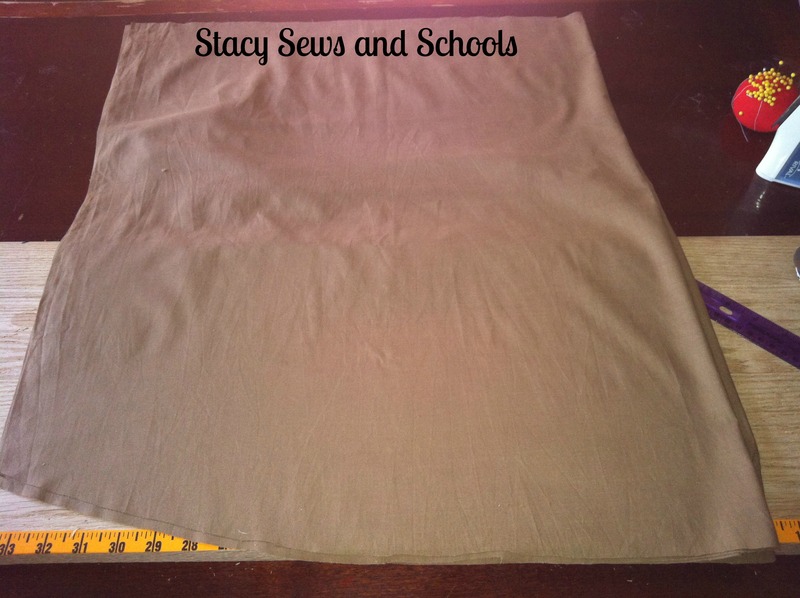 Fold up 3/4″ of the bottom of the overskirt and press. 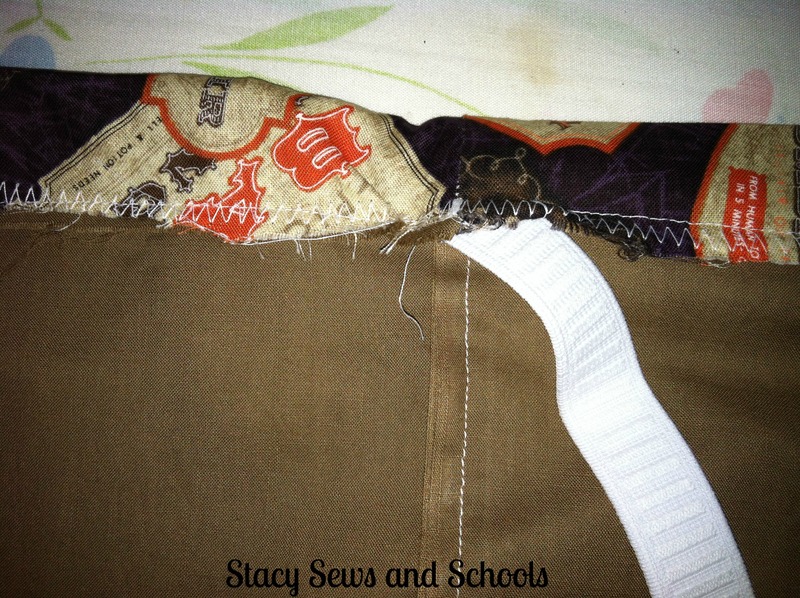 Fold up 1″, press, pin and sew the hem. 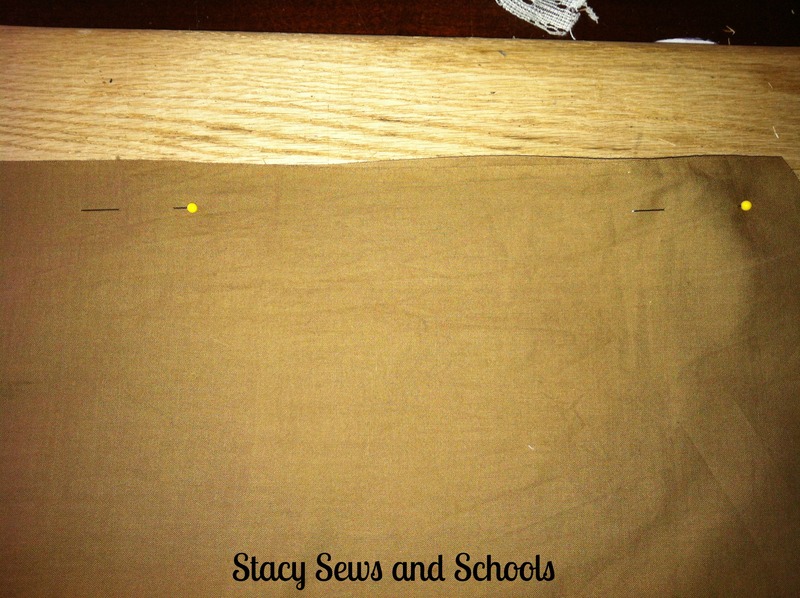 Pin the sides of the overskirt together and sew the side seam. 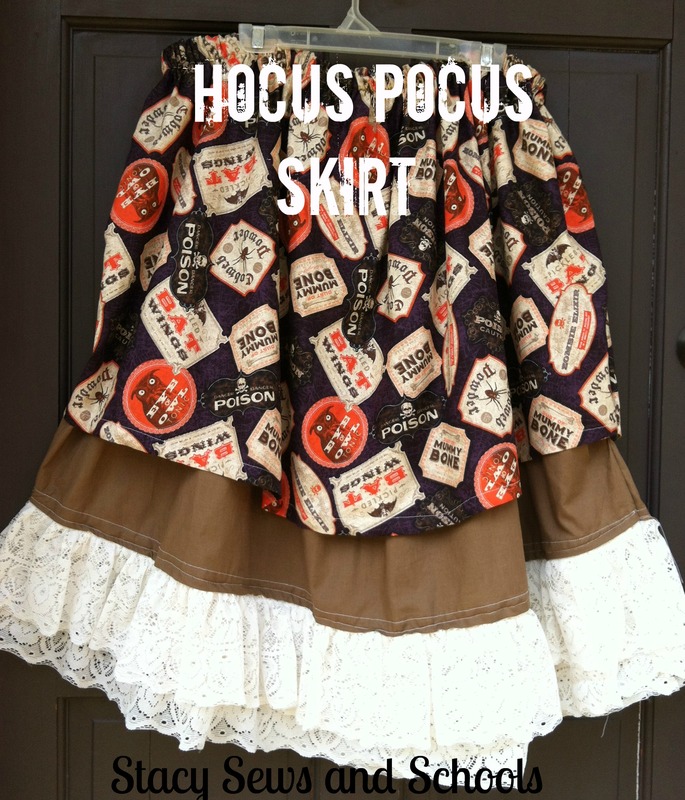 Do the same to the underskirt. 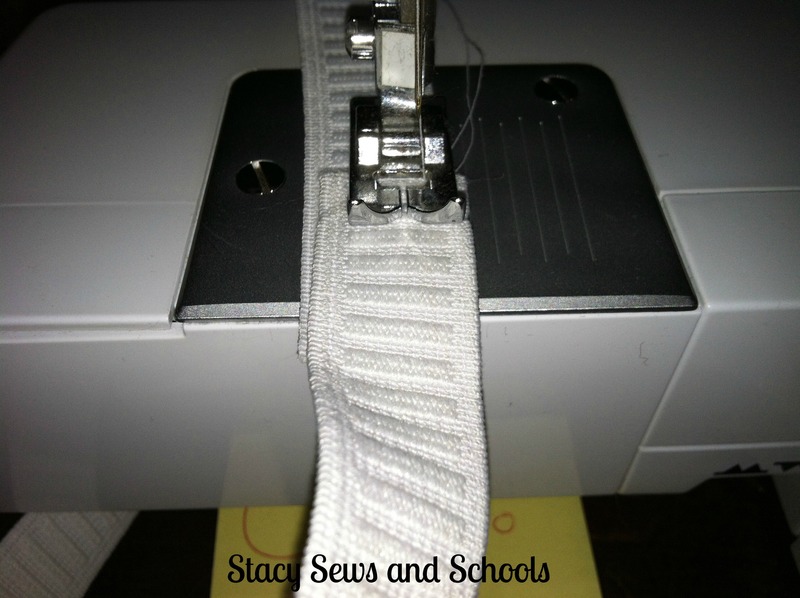 Pin a safety pin to both ends of the elastic and insert the elastic into the casing. 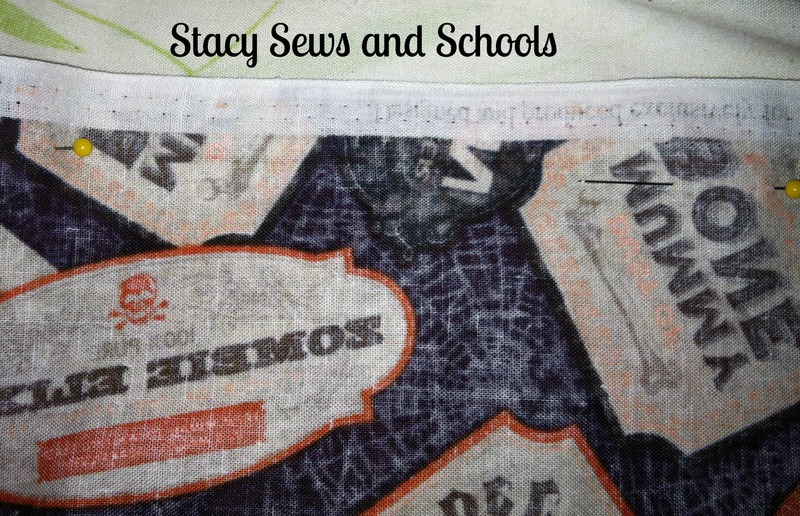 Now, sew your casing closed! I may be a little quiet the next few days. We are going to be leaving to go to Georgia so The Hubby can check out at least one job, possibly two!! !